I'm always looking for a unique take on the getting ready shots. At Circa on Seventh, the bride room is a little small, but there is a beautiful natural light source, and a long mirror. 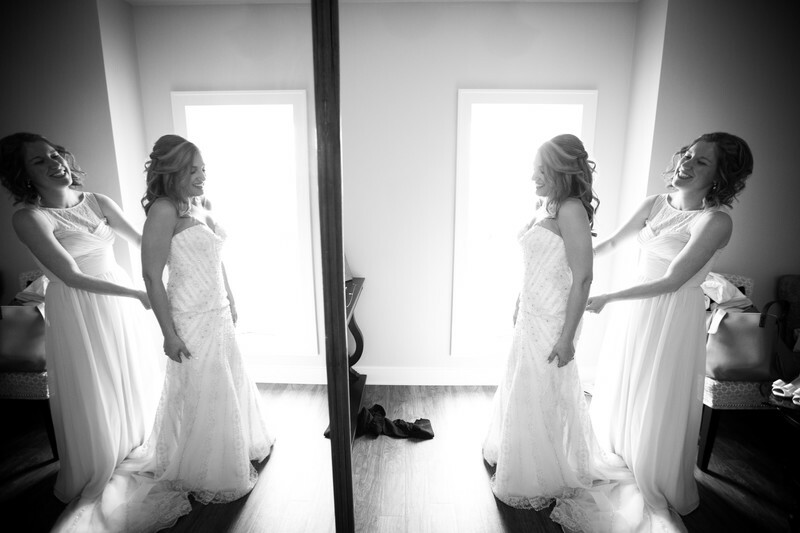 I angled myself so that I could get a gorgeous lit reflection shot of the bride as she was having her dress done up. Not everyone is smiling and laughing for no reason...so often times, I may say something like "Look how HAPPY you are right now" and then I'll laugh, everyone else will laugh...and click. I get the shot I'm looking for. Location: 4902 7th Ave, Kenosha, WI 53140.